The week that my dad and I spent in Israel and Jordan was truly a trip of a lifetime, and we ended the week based in Jerusalem for a couple days. Since one of our two days was going to be spent hiking up Masada, that left us with roughly 24 hours to immerse ourselves in the city. And let me tell you, it is INSANELY hard to figure out what to do in Jerusalem with just one day. 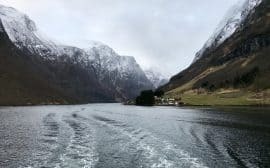 There are millennia of history and culture here to explore, so choosing which things to do and which to leave out was really tough. 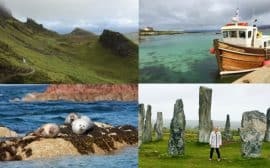 Luckily, large swaths of that history and culture are concentrated in a very small space, so you can do a lot in a little time. Jerusalem’s Old City is divided into four quarters—Jewish, Christian, Muslim and Armenian—each with its own ambiance, culture and history. One of the best things to do is just wander, and don’t worry about getting lost, because the Old City is only about 1 square kilometer and surrounded by Ottoman walls, so you can’t really get TOO lost. You can easily discover the Old City by yourself, but a guided tour will go a long way in helping you understand the history and everything below the surface. 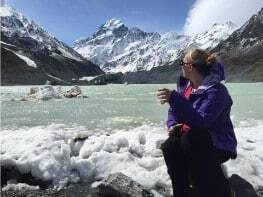 We were lucky because we had a friend of a friend to give us a tour, but there are tons of different walking tours, from short ones that will just give you a flavor, to longer customized ones. Abraham Hostels have several great ones that are affordable, and they give a discount if you do multiple tours or if you’re staying there; we took their sunrise Masada tour that also includes the Dead Sea and Ein-Gedi, and loved it. If it’s of interest, there are literally dozens of different sites lauded by Christians or Jews as historically important. It’s important to know that there’s little hard historical evidence for many of them. 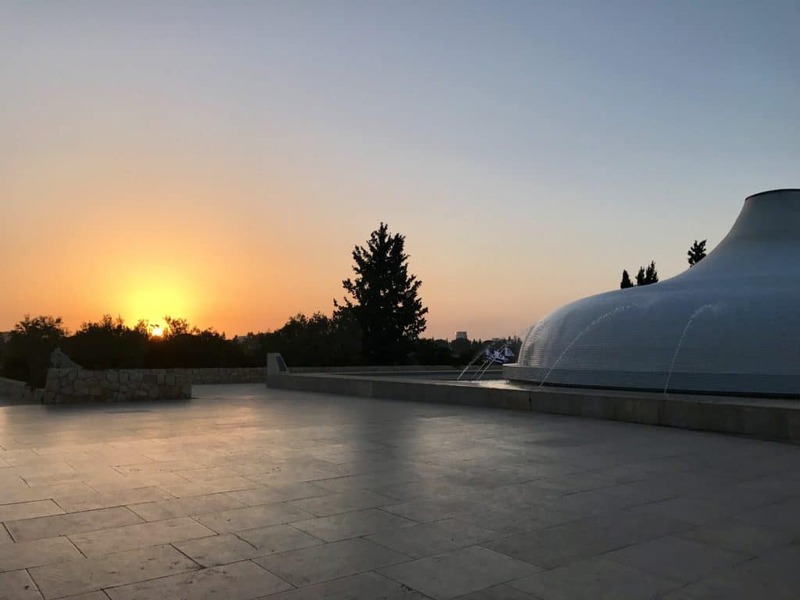 I’ve also provided recommendations at the bottom of this post for what other things you should do if you have an extra day to spend in Jerusalem, including the Yad Vashem Holocaust Museum and Hezekiah’s Tunnels. We ate breakfast at the hostel, then met up with Alejandro, a friend of our friends in Tel Aviv. He was living in Jerusalem for school, and had kindly offered to be our tour guide for the day. Is the Masada, En Gedi, & Dead Sea Tour Worth It? Our tour of the Old City started at the Jaffa Gate, which was the closest entrance point for us to easily reach the Western Wall. But throughout the day make sure that you visit some of the gates nestled in the Old City wall. 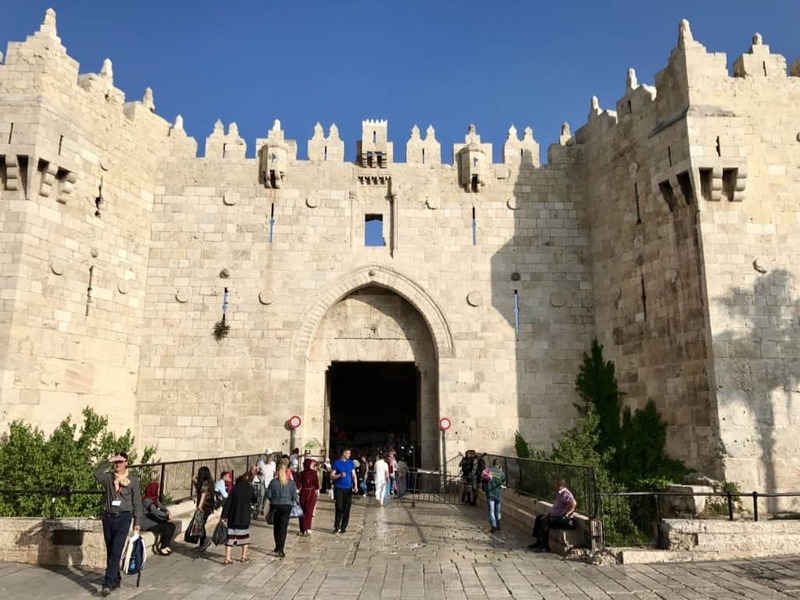 Easily the coolest-looking of the gates, the Damascus Gate is the busiest entrance, and was where we chose to re-enter the Old City in the late afternoon. The Lion Gate is pretty cool looking, with sweet carved lions. 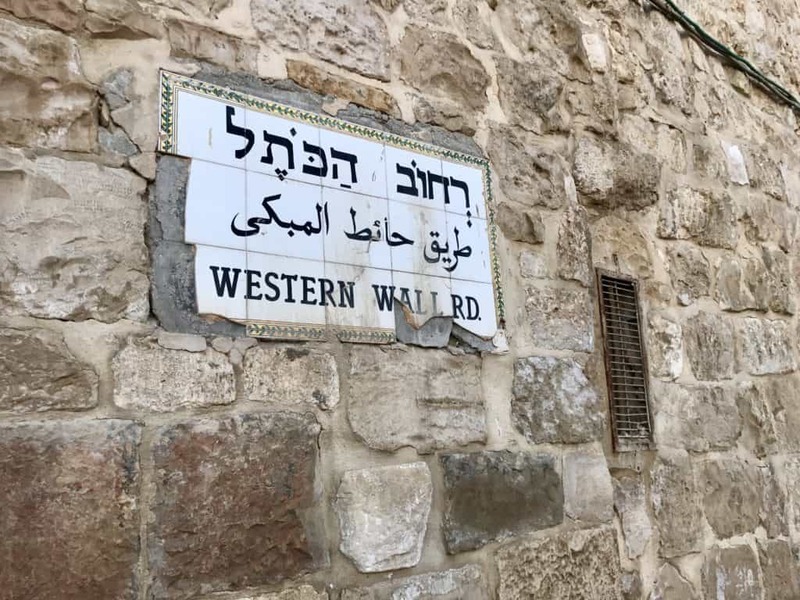 It’s on the east wall, and leads to the Via Dolorosa (it’s a good place to grab a taxi up to the Mount of Olives as well). Legend says that Suleiman put the lion figures on there because he believed that if he didn’t construct a wall around Jerusalem, he’d be killed by lions. 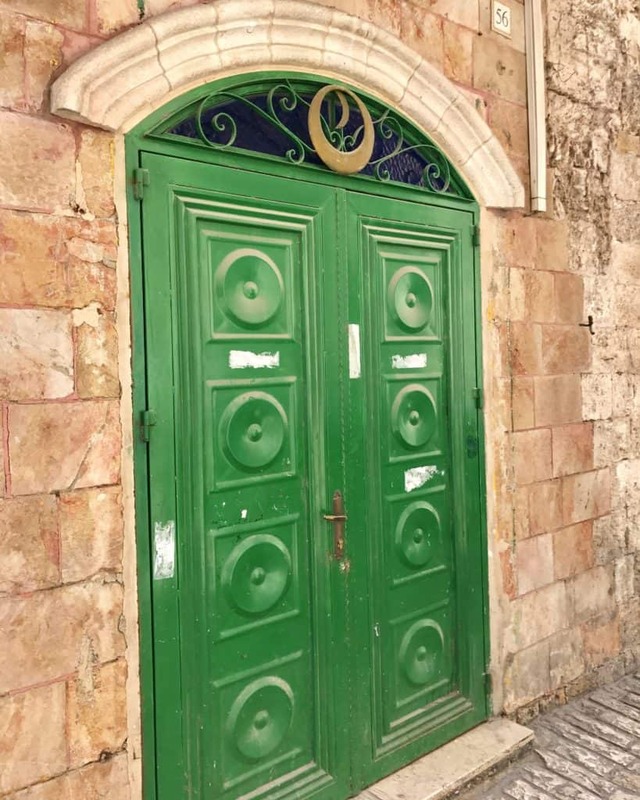 More recently, Israeli paratroops stormed through this gate during the Six-Day War in 1967 to conquer the Temple Mount, and then unfurled the Israeli flag above the Old City. The Jaffa Gate is the main entrance, built in 1538 by (like so many things) Suleiman the Magnificent. It leads into the Muslim and Armenian Quarters, and is where we started our morning. You might also like: Is the Sunrise Masada, En Gedi, & Dead Sea Tour Worth It? Both of these have interesting history. The Zion Gate, which leads to the Jewish and Armenian Quarters, played a key role in the capture of the Old City and Temple Mount during the Six-Day War. You can still see bullet marks on the stone from the fighting. The Golden (Mercy) Gate is thought to be the oldest in the city, though what’s there today is more recent. 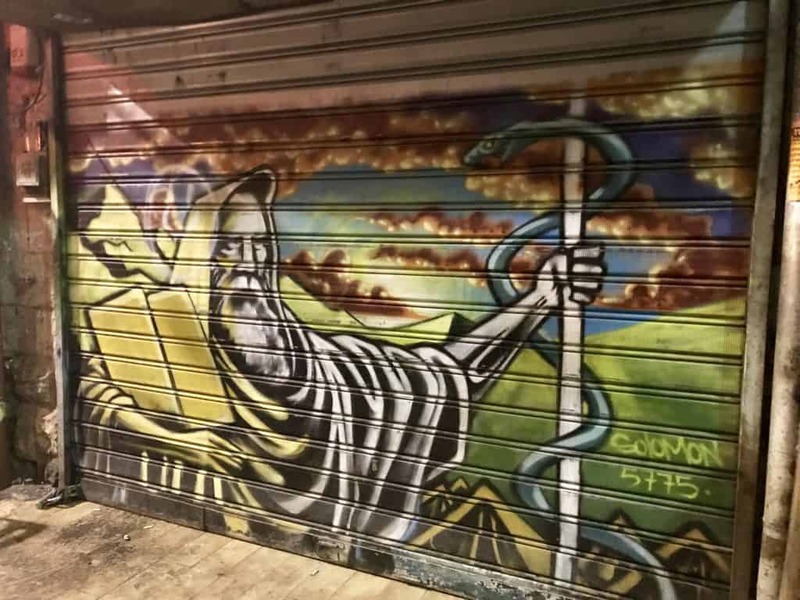 Right next to the Temple Mount, it faces the Mount of Olives and is where the Jews believe the Messiah will enter the city when he comes, proceeded by Elijah. Suleiman walled up the gate in the 16th century and planted a cemetery right in front of it to prevent the Anointed One from entering the city, since it’s believed the cemetery would make Him unclean. I appreciate that Suleiman was like—haha, gotcha! As I mentioned above, we entered the Old City through the Jaffa Gate and walked straight down to the Western Wall (a.k.a. Wailing Wall or Kotel). It’s a small section of a retaining wall of the Temple Mount, formerly part of the Second Jewish Temple built by Herod the Great (and subsequently destroyed by the Romans in 70 AD). 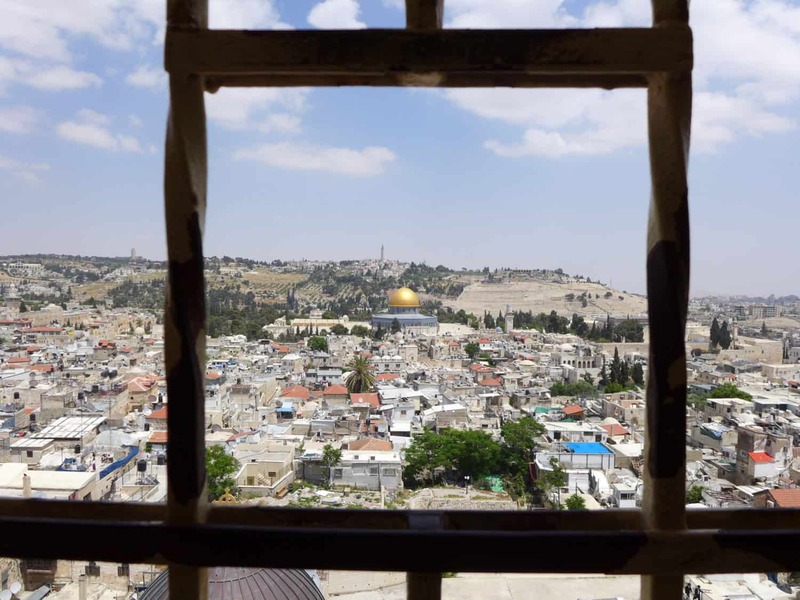 It’s one of the most holy and sacred sites to the Jewish faith, particularly since they don’t have control of the Temple Mount for worship, and is a UNESCO World Heritage Site. We visited here and the Dome of the Rock first thing in the morning to make sure we beat any crowds and could get through security pretty quickly. 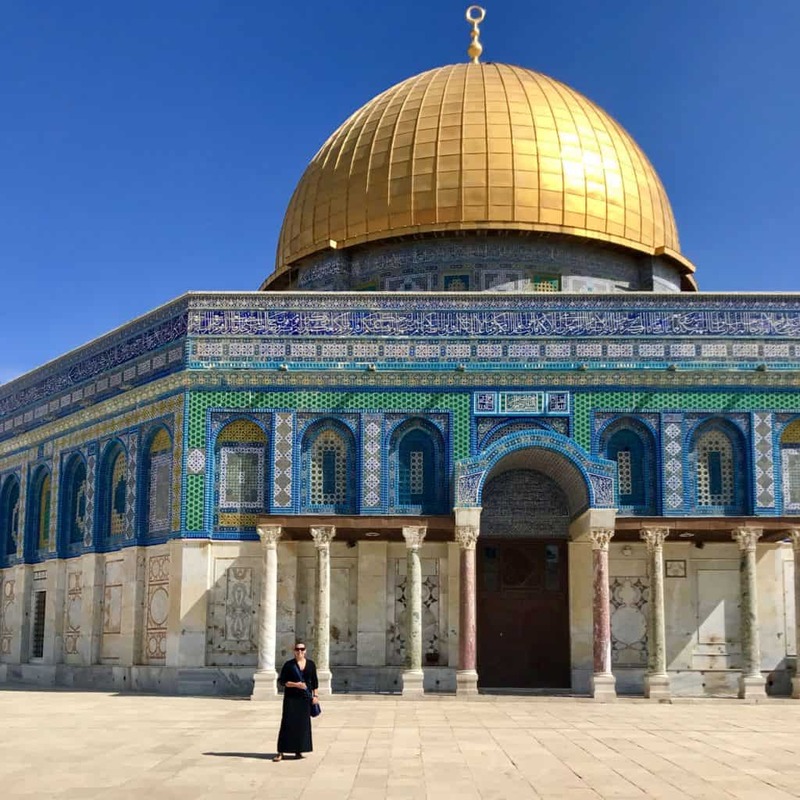 I’ve written a detailed post about visiting the Western Wall and the Dome of the Rock, which gives you everything you need to know to plan your visit. After visiting the Western Wall, we walked only a few steps over to the Temple Mount to see the Dome of the Rock. The Temple Mount is the holiest site in Judaism, the third holiest site in Islam, and a revered site to Christians as well. Because of its importance to all three, it’s been a focus of conflict and bloodshed for almost 2,000 years. You have to have your knees, shoulders, and chest covered (no v-necks!) and go through strict security screenings to enter the Temple Mount, and even then non-Muslims won’t be able to actually enter any of the buildings. Also remember that men and women aren’t allowed to touch in this area (even ones who are related). The Dome of the Rock is the main thing to see when visiting the Temple Mount. It’s gorgeous and a UNESCO World Heritage Site. In the Islamic faith, the rock is where Muhammad ascended to heaven, making it the third holiest site for Muslims. In the Jewish faith, this is The Foundation Stone (among other things) of the temple and the Holy of Holies, and the holiest site in Judaism. The building that stands there now is a Muslim shrine (but not a mosque), and the oldest Islamic monument that still stands. The bright colors and incredibly intricate details on the tile are amazing. The original golden dome was actually made of gold, but was later replaced by copper, and then aluminum (and now covered with gold leaf). As you leave the Temple Mount on the back side, you’ll see the Golden (Mercy) Gate and walk out the Lion’s Gate, both with really interesting background stories, talked about above in more detail. Once we were done on the Temple Mount, we walked down to the Lion’s Gate, and outside to look at the lion carvings on the gate. Our next stop was the Mount of Olives, and we decided to take a taxi rather than hike up (but that’s an option too). I believe it was 25 NIS, or about $8 USD, and got us up there really quickly. First up was this iconic view of the Old City. You may notice all of those rectangular stone boxes. 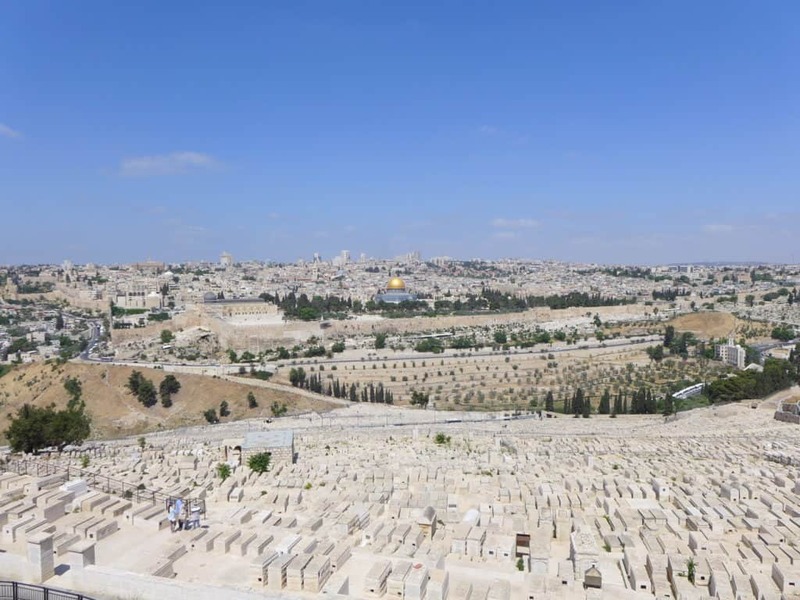 The Old Jewish Cemetery covers the western and southern slopes of the Mount of Olives. Legend says that people buried here will be the first resurrected when the Messiah returns, so as you can imagine it is hot real estate! Next we began walking down the Mount of Olives back toward the Old City. There are several things you can stop at along the way, if you have particular religious interests. We skipped several of them, including the Pater Noster church, Dominus Flevit, and the Church of the Ascension. 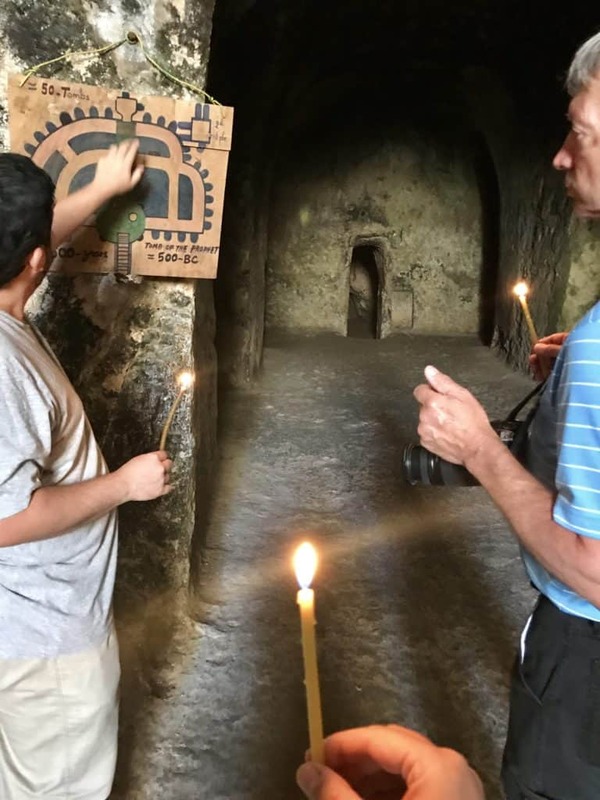 We did make a brief stop at the Tomb of Three Prophets, thought to contain the tombs of the 6th-5th century BCE biblical prophets Haggai, Zechariah, and Malachi (as well as some of their followers). It’s not certain that their tombs actually are here and there isn’t much to see here, but it’s a cool (and short) walk through nonetheless. At bottom of the Mount of Olives is what’s believed to be the Garden of Gethsemane (where Jesus prayed before his arrest and crucifixion). It was “discovered” by Crusader knights, and is believed to be the Garden of Gethsemane due to its location and the olive trees, which are estimated to be around 2,000 years old (olive trees don’t have rings so they can’t say for sure). 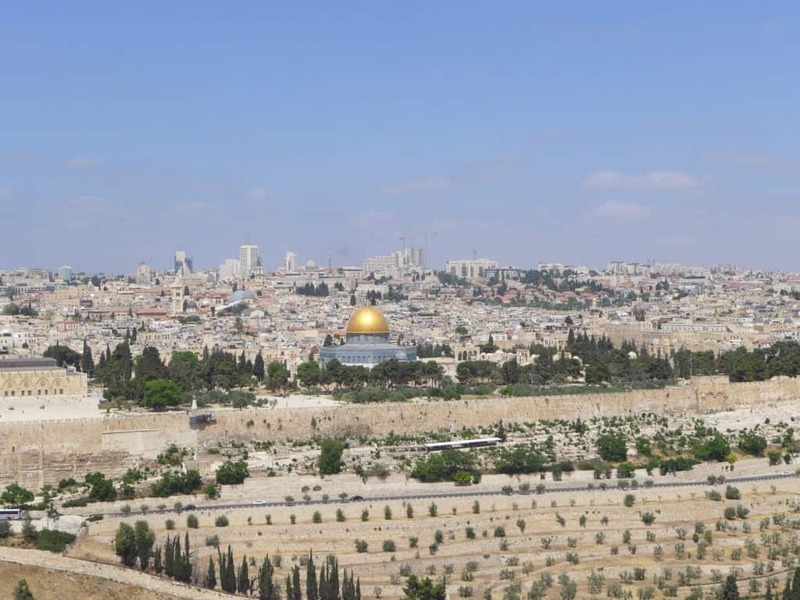 However, regardless of whether it is the real thing or not, it’s unlikely that these were literally the trees that were there when Jesus was alive, since the Romans reportedly cut down all the trees in their 70 AD sack of Jerusalem. Next it was back into the Old City (I can’t remember which gate, but the Lion’s Gate will get you there), into the Armenian and Arab Quarters and along the (supposed) Via Dolorosa to our lunch destination. Eat a delicious, traditional lunch! Alejandro led us to the Arab Quarter to a little lunch spot he had been to before. It’s right at a big intersection of the Via Dolorosa and another street (I’ve included two pictures below to show you what the intersection looks like, it’s to the left of the minaret), across from Austrian Hospice—which we’ll come back to later! 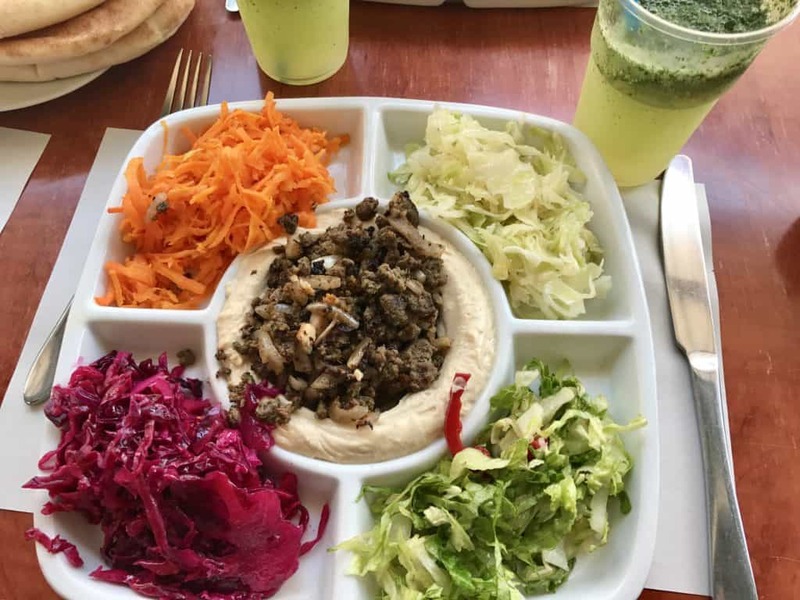 We had an absolutely delicious traditional Palestinian lunch of grilled meats, hummus, pita, and salads, with fresh mint lemonade to wash it down. It was soooo good, and I recommend this place for sure! The Lutheran Church of the Redeemer is located in the Christian Quarter, very close to the Church of the Holy Sepulchre (which we skipped). The current church isn’t particularly old, but is built on a super old site (you can tour some interesting archaeological sites below the church), but its biggest draw is the awesome view from the church tower. It costs 15 NIS (about $5) to climb the 180 super tight, steep, narrow steps to the top, but the view from each side is awesome. It’s not a 360-degree view, you have to walk out to each individual side, but it’s totally worth the climb. One of the most important things to do in the Old City is just WANDER. These narrow streets and alleys are so full of history and culture that you should just get lost for a while. People watch, shop (and haggle! ), maybe sit and have some tea, and just slowly walk around. You’ll definitely want to explore during the hustle and bustle of the day, but consider coming back as the late afternoon bleeds into early evening. The tour groups and noise melt away, the light softens, and there’s something magical about it. Shopkeepers begin closing up for the day, and it’s just a totally different experience than visiting during the day. Whether you need a cool respite from a hot afternoon or want to enjoy the last rays of sun in the Old City, consider a stop at the Austrian Hospice, which is right across from the lunch spot I mentioned, at the corner of the Arab and Armenian Quarters. You can grab a snack (or a meal), or just take a cold beer or glass of wine out onto their patio to enjoy the view and relax above the chaos of the Old City streets. My favorite place in Jerusalem!! We were lucky, because we were staying at Abraham Hostel (highly recommended) and so were only a few minutes’ walk from the Shuk. But if you’re staying somewhere else it’s right off the tram line and so should be easy to get to. It’s a massive marketplace, with over 250 different stands, shops, and restaurants selling everything you could want. I was completely obsessed, and visited a couple times during the day as well as twice at night. 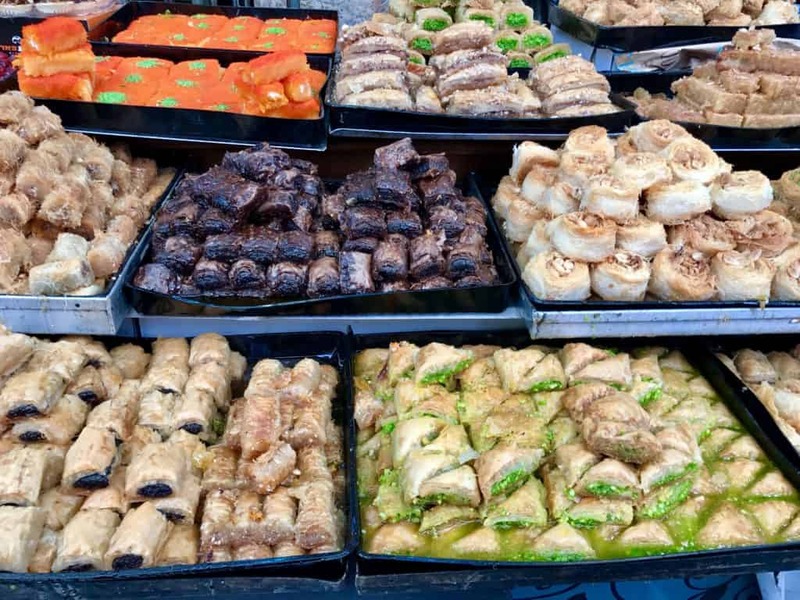 I wrote an entire post on Mahane Yehuda if you want to know more. You can shop, sit and have a coffee or beer, or have a real sit-down meal. I did all those things. 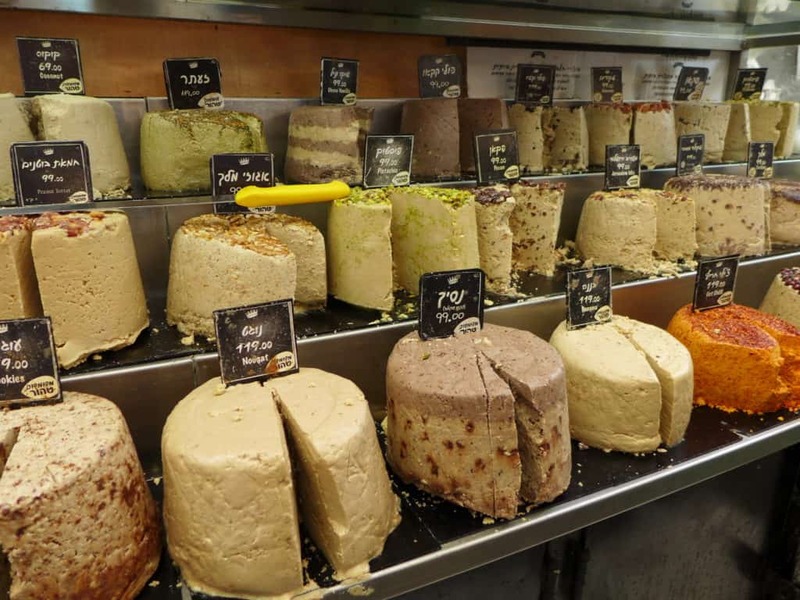 Those weird cheese-looking things are halva, a dense sweet made from sugar syrup, eggs, and sesame seeds. It is omnipresent in the Middle East, but we didn’t really know what it was until the last day of our trip. 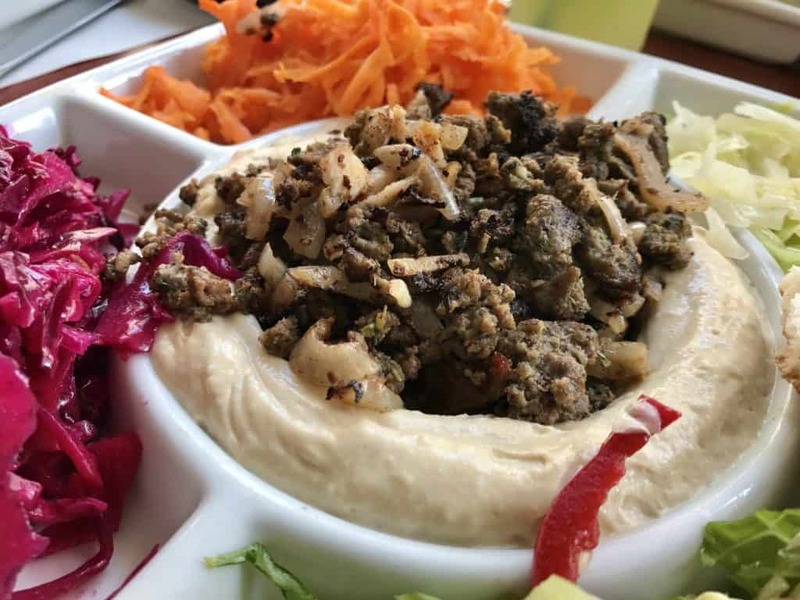 It was featured on the Abraham Hostel breakfast buffet in both Tel Aviv and Jerusalem, part of our Bedouin breakfast in Wadi Rum, and then here we finally figured out what it was. It’s…weird. And delicious, and I definitely bought some to bring home. At night the place transforms into something even more awesome (if that’s even possible). The market stalls close up shop, their stall doors revealing bright graffiti murals, and a bunch of bars open alongside the restaurants that remain. Deejays spin and the youth of Jerusalem comes out to see and be seen. We ate twice at a stand called Jahnun, a Yemeni place specializing in malawach (mah-lah-wah). It is sooo delicious…an insane, puffy, soft-but-golden flatbread filled with hummus and tahini, fried eggplant and onions, roasted cauliflower, all kinds of yummy vegetarian toppings. Amazing, and much recommended. I’m strongly on the record as NOT a museum person. However, we arrived in Jerusalem late in the day on Independence Day, and my friends wanted to go for a while because entrance was free. As museums go, this is literally one of the best in the world, and is certainly worth some time if you enjoy museums. 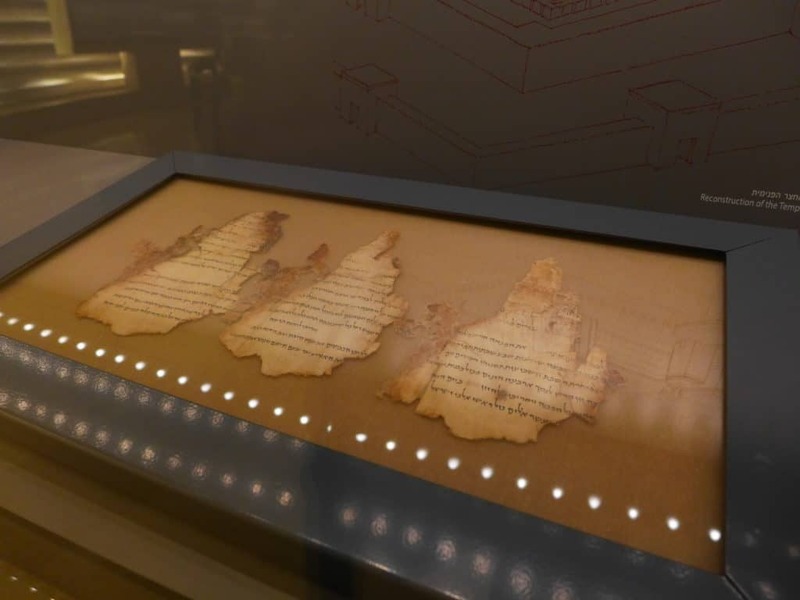 Seeing the Shrine of the Book at sunset and fragments of the Dead Sea Scrolls is definitely cool. Our flight was scheduled to leave from the Tel Aviv airport the following night at 9pm, which can be reached easily from Jerusalem (it’s roughly halfway between the two cities). We took the Abraham Tours sunrise Masada hike tour, which was a breathtaking experience, and I’d recommend to anyone who is reasonably physically fit. It also let us visit the Dead Sea and Ein-Gedi briefly. 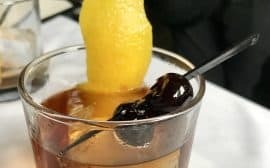 I’ve gone into more detail about the experience in this post. 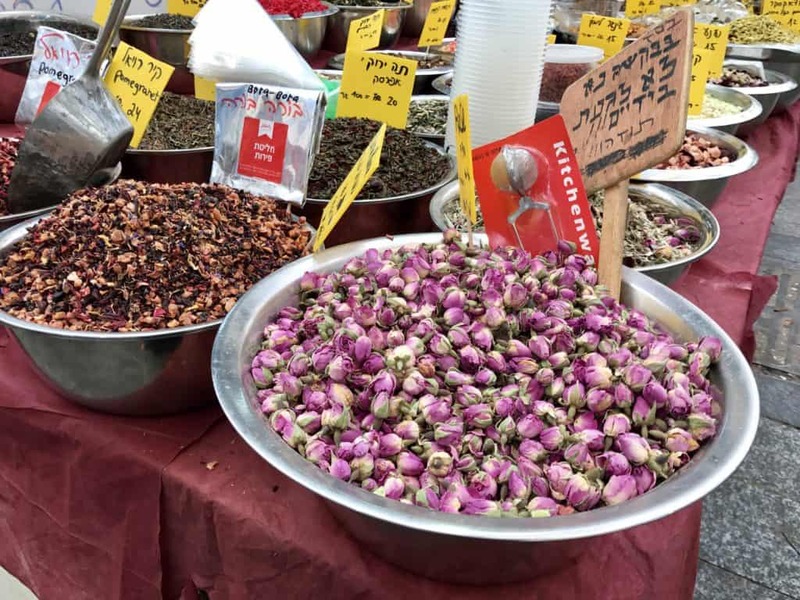 When we got back to the city around 1:30pm, I went back to the Shuk for a little while before we boarded our shuttle to the airport—leaving plenty of time to get through security in case there were issues! 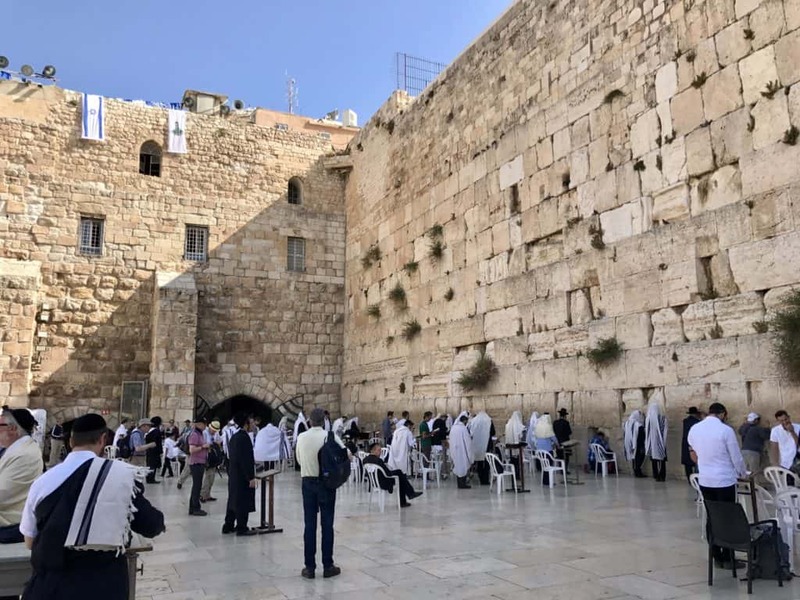 I’ve published a much more in-depth post on how to plan your visit to the Temple Mount and Western Wall that has everything you need to know, what time things open, what you can and can’t bring, etc. The Old City doesn’t really “close”, though most of the shops close at night so there isn’t a ton to do after sunset. The same is true of the Mount of Olives (though the view from the Mount of Olives at sunset is supposed to be beautiful). During the day you should be able to just walk into the Garden of Gethsemane, but you can visit their website to find out more about hours for specific portions. It costs 15 NIS (about $5) to climb the tower of the Church of the Redeemer, and it’s open 10a-5p. The cafe portion of the Austrian Hospice is open 10a-10p (kitchen closes at 9p), though you can stay here as well so it doesn’t technically “close”. You can learn more about everything you can do on your visit at their website. There’s supposed to be a great view of the Dome of the Rock from the rooftop, and we somehow missed this—make sure you get to the top! 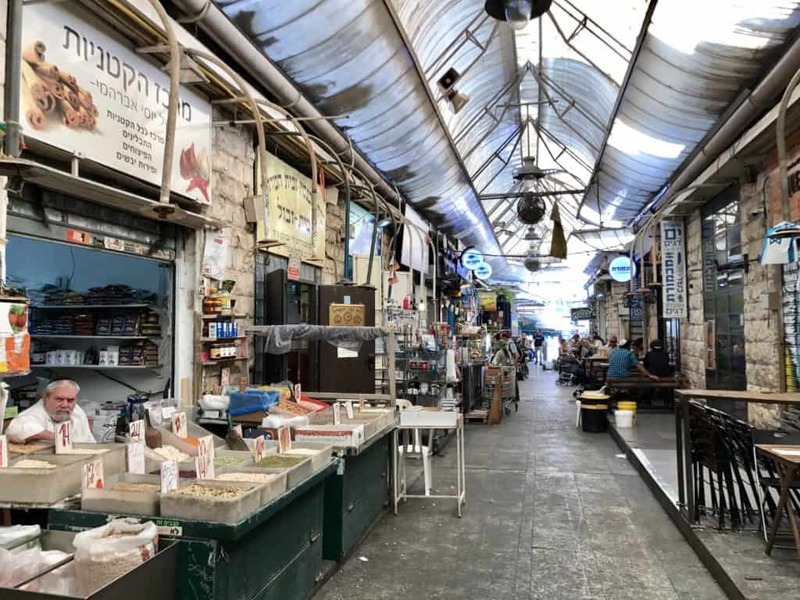 The Shuk (Mahane Yehuda) market is open every day of the week except during the Sabbath (Friday night at sundown to Saturday night at sundown; though some cafes and restaurants are open during that time). Check the official website for some of the nuances on times and days of the week. What other insider tips do you have to add? Drop me a note in the comments! 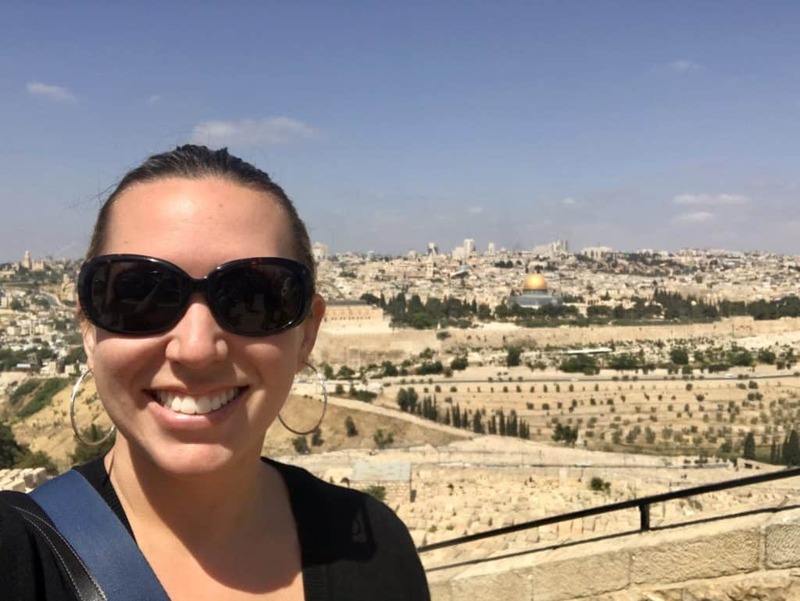 If you have other questions about what to do in Jerusalem while planning your trip, I’d love to hear from you!